Can you believe it’s March already? How is your progress on your New Year’s writing goals? Whether you did or didn’t set any writing goals for yourself this year, why not plan to work on your writing now by joining us for some of our live webinars in March! In this second of two APA sessions, Writing Center staff members will discuss nontraditional APA citations and reference entries, with an emphasis on those that are common to Walden assignments. We will provide guidance on citing discussion posts, course videos, and other sources that are required at Walden but not explored thoroughly in the APA manual. Participants will receive links and other tools for helping students master these formats. If you are unable to attend any of these sessions in person, we post recordings of every live webinar event on the Walden University Writing Center website. The recordings of these sessions are posted 24 hours after they take place, and you can watch them free and on-demand. Sometimes, getting to work on a school paper can feel like an insurmountable task. After reviewing and re-reading the assignment prompt over and over, your mind feels like a blank sheet of white paper. You have no ideas; you don’t even know where to start. If you were in a superhero movie this would be the exact right time for one of the Avengers to crash through your wall and save the day; and, if you were on a limited budget – heck! - it would be the perfect time for you to discover your own super human writing powers. If you’ve ever felt like you’ve wanted to be saved from what seems like the world’s worst paper-writing situation, you’re not alone. Now more than ever, living in world where “comic book solutions” (e.g. potions, heroes, and magic gadgets) seem to populate every film, TV show, and iPhone screen, viewing your own writing skills as anything less than “amazing,” “spectacular,” or “Thor-like” really feels like it’s the norm. Well, with very little prompting, it’s very easy for one to bring to mind the success stories of early achievers, prodigies, and change makers (e.g. Mozart, Picasso, Einstein) whose highly lauded “natural ability” made them professional “super heroes” early on. In addition, there is the inevitable association one has with school mates, peers, and work colleagues whom, by cosmic coincidence, also seem to possess some of the amazing earth-bound skills (i.e. paper-writing, problem-solving, organization, and goal setting) you’ve been trying to develop for years. As if living in a universe populated by fictional superheroes on the silver screen wasn’t enough (e.g. The Avengers, Spider Man, Iron Man, etc.) the online universe of Walden further exposes all of us to the possibility that everyone else seems to be writing superhuman, radioactive-perfect papers while we can’t even develop a sensible paper title. In fact, what makes being a non-Avenger, “normal student” in the Walden Cinematic Universe so difficult, even harder than lifting Thor’s hammer off of Tony Stark’s coffee table on a bet, is that there are no easily accessible stories in TV or film that perpetuate the blockbuster adventures of everyday students who overcome big challenges by just moving ahead one step at a time. Somewhere between being a Tony Stark genius from birth to being an Asgardian God whose been fighting bad guys for centuries, it’s much easier for your brain to conjure up old stories about your own academic short-comings, rough starts, and failures than it is imagine a world where learning one new thing a day can start you down a new path to success in whatever field you select. Epic battles of exploding losses and giant radioactive Fs on assignments may have been part of your worst super hero stories in some of your early prequel stories, but times have changed. Your story at Walden is a new beginning and a chance to finally set the story in your super hero universe straight. The heroes studying and writing papers at Walden University may not wear capes, but they don’t have to. Study upon study shows that the best way to overcome fear and anxiety about past failures is to simply create a new powerful story about success that lasts. If you want to know what the secret formula really is this is it: What really works is starting small and going slow. Don’t assemble the Avengers all at once. If you know you have a new paper assignment coming due in two weeks, don’t wait until the last-minute to writer it; don’t give Loki the advantage he’s been waiting for. The best way to save the Universe – and your next writing assignment! - is to make a plan and to start early. Make an appointment with the Writing Center, visit our page on how to create a proper citation; practice your new skills daily, and give your new super-brain a workout. The truth is there aren’t enough stories about Walden students “saving the day” by just completing one small task at a time, but there really should be. Walden students are absolutely their own kind of superheroes. They do things no other students can do and being at Walden now is proof-positive that things have changed. You’re already starting a new adventure in a whole new cinematic universe. You don’t need to wait for Thor or Iron Man to crash through the wall to save you. You have all the tools you already need. Get started today! 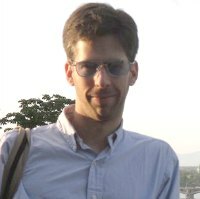 James A. Horwitz is a writing instructor in the Walden University Writing Center. 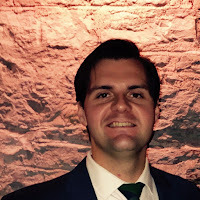 James received his MA and MFA from the University of Wisconsin-Madison, having first earned undergraduate degrees in both English and Psychology. 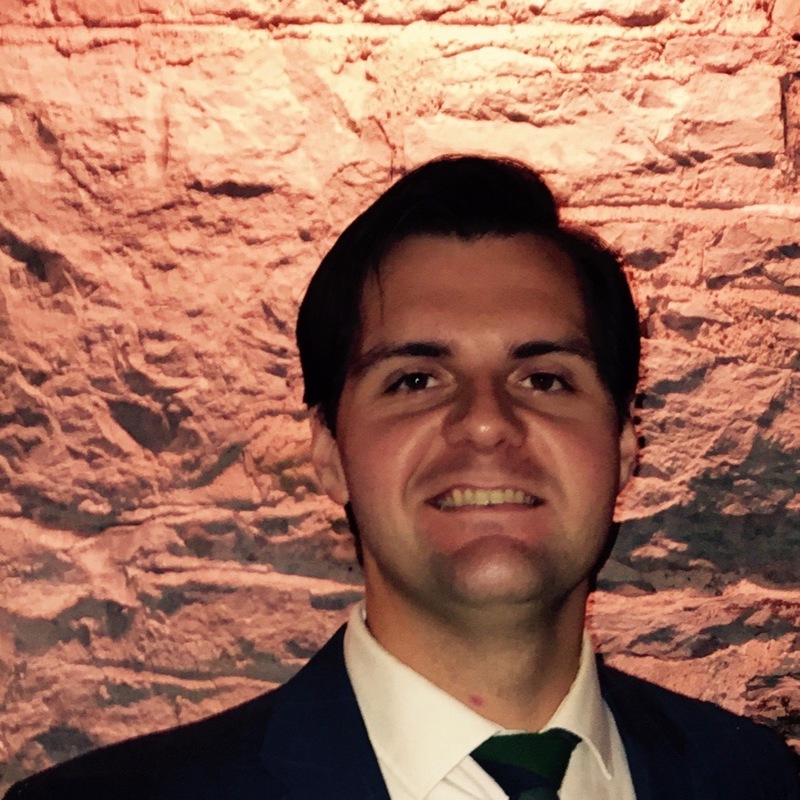 James has taught at the college-level for over 13 years and is passionate about student-learning, mentoring, and student writers developing their work. In this month's WriteCast podcast, Claire and Kacy discuss how spelling can be included in the conversation about APA-style scholarly writing. Listen in as your hosts discuss some of the ways that spelling can trip up writers, especially writers writing in their second or third languages. Common pitfalls are discussed along with practical strategies and tools for avoiding spelling struggles. For example, did you know that it is possible to adjust the dictionary settings in Microsoft Word? Listen in to learn more! WriteCast: A Casual Conversation for Serious Writers is a monthly podcast written, produced, and published by staff in the Walden University Writing Center. Join us each month for a dialogue between two experienced and trained writing instructors. Possible episode topics will always be considered from listeners--share your questions and suggestions in the comments. Many students believe that the writing process begins when they sit in front of their computer and start typing. Although getting those first few words onto the page is an important step in the writing process, there are some things you can do before you type to make the process easier. In fact, the act of writing begins when you start reading your assigned articles. One of the easiest ways to streamline your writing is to be a good reader. But what makes someone a good reader? A good reader makes smart use of their time by actively reading the text. Most of us have probably had the experience of reading an article or a chapter in a textbook late at night and having no recollection of what we actually read the next day! This often means that we were passively reading; our eyes might have been moving across the page, but we weren’t really taking in the information in a meaningful way. One way to make sure you are being an active reader taking in necessary information is through note-taking. Effective note-taking could mean paraphrasing ideas from various articles, highlighting key passages, or keeping track of key terms that authors use across articles. The most important thing about note-taking is to write down information that you think is important and to be sure to include where the information came from. No matter how informal your notes are, you should always include a citation at the end, just to be safe. There is nothing worse than having the perfect piece of information to support your thesis – and realizing that you forgot to write down which article it came from! 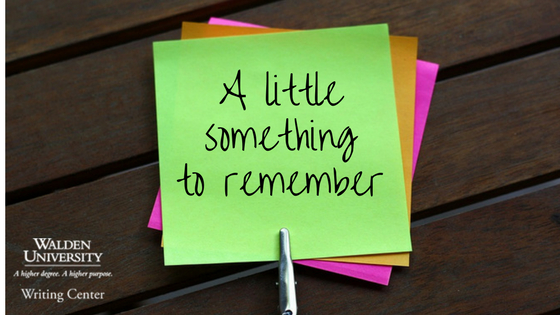 You don’t need to keep highly detailed, encyclopedic notes on every article you read, but it helps to jot down a few key ideas to help refresh your memory when you are ready to write that big course paper. For instance, what was the main argument? What methodology did the researchers use? What conclusions did they come to? What were some of the main themes? Keeping track of this material will help your brain actively take in the information, rather than defaulting to scanning the pages passively and not truly taking in the information. If you are reading multiple articles for one paper, you can also start synthesizing the main ideas by as you read by thinking about how these articles relate to one another. Do the authors of Article A agree with the Authors of Article B? Do they take different approaches? Was something less effective in one article? These notes may feel random or disjointed at first, but they will help you start to see patterns in your readings and will help you build your thesis before you even sit down to type. Another important element of being an effective reader and, by extension, an effective writer, is to stay organized. Your notes won’t be of any use to you if you can’t remember where you put them! Thus, once you get into the habit of taking notes as you are reading, try to keep your notes in a single notebook or in a separate Word document to keep the most important information readily available. Keeping these notes all in one place you don’t waste precious time hunting through multiple notebooks or multiple documents in your computer. By making sure you are being smart about how you read and how you keep track of what you read, you will make the writing process just that much easier for yourself! As daunting as academic writing can seem at times, you can make the process smoother and saving yourself time before you even sit down to write! 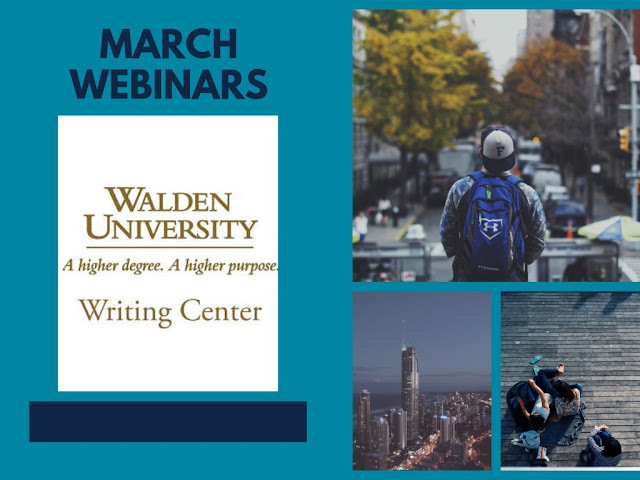 The Walden University Writing Center creates content to help students with a range of topics related to scholarly writing, APA style, and the writing process. We host webinars, and offer paper reviews, live chat, and a podcast. 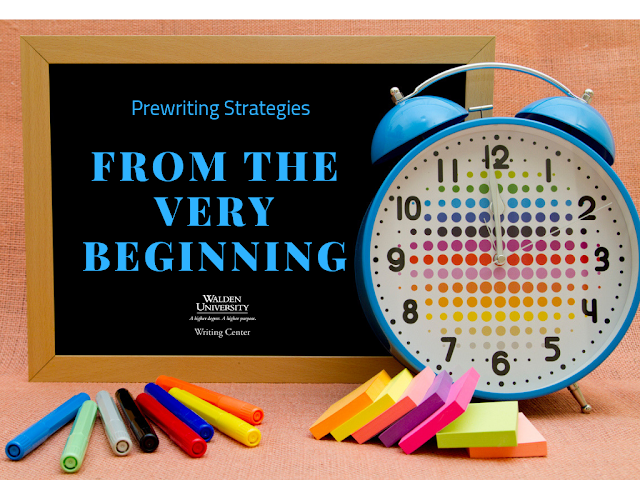 You can check out all of our resources by visiting our Walden University Writing Center home page. 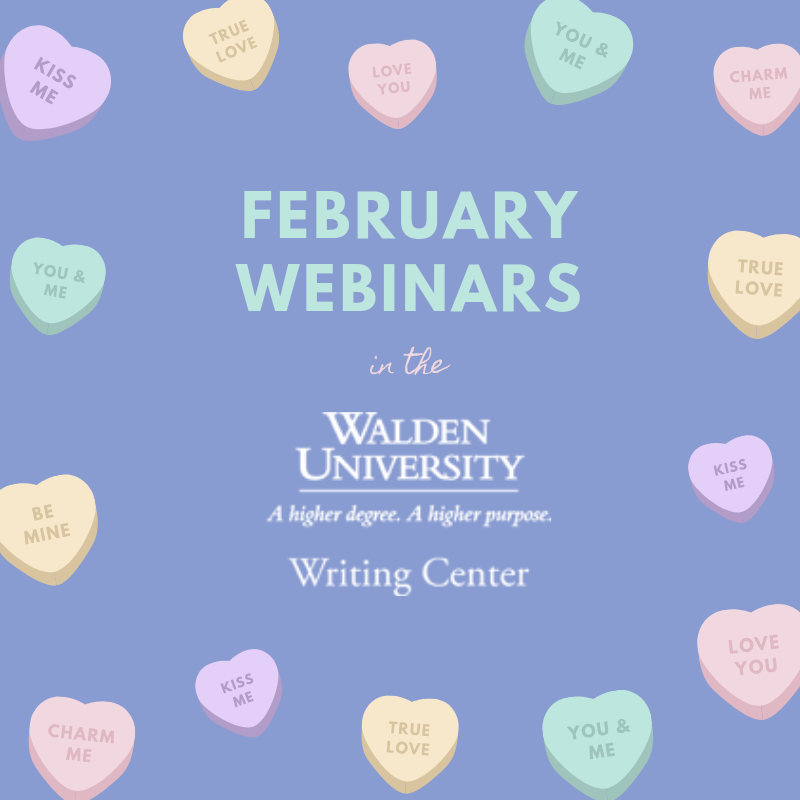 It's the middle of February, and we still have some live Writing Center webinars to love this month! Won't you join us? As a scholar, the purpose of your writing is to create an argument for the reader to consider. Thus, you also need to know how to convey that argument in a persuasive, convincing way. In this session, discover how to construct an academic argument as well as how to present it through your writing in with a focus on thesis statements, organization, using evidence, and paraphrasing. When it comes to academic writing, it is common to experience writing anxiety. For many students, academic writing is a new adventure. However, some students have been out of school for decades, and the high expectations of course assignments can create anxiety. As a Writing Instructor in the Walden University Writing Center, I have seen students struggle to write academic papers for many years. Throughout my 14 years of teaching adult learners, I have heard the concerns of many students from diverse academic backgrounds, and I noticed commonalities in what my students have to say. For example, students often say that they do not know how to begin or they do not know whether their writing is cohesive at the sentence or paragraph level. And of course, there is the common concern on the proper use of APA formatting, references, and citations. Time and time again, I tell students they do not need to be afraid of writing because there are services to help. 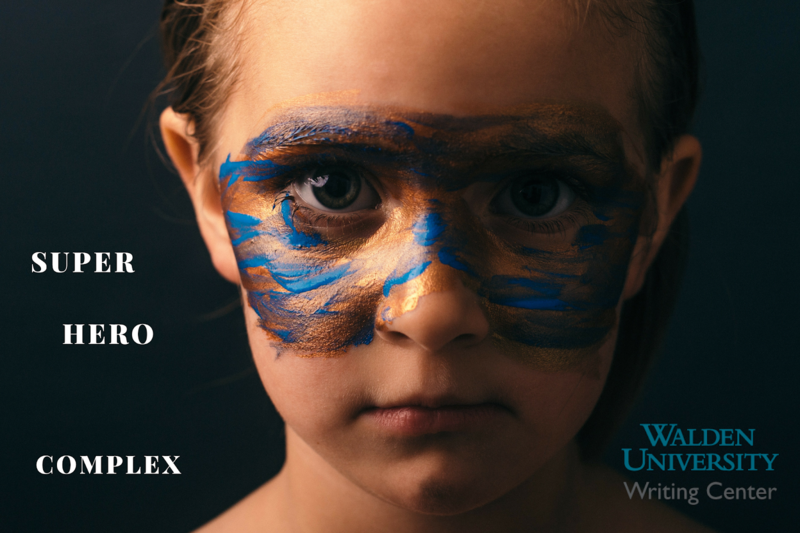 Writing anxiety does not have to exist because resources are available to support students in the writing process. One significant resource that I recommend is the Writing Center’s paper review service. Although the thought of getting a writing expert to review your writing may seem daunting, I would like to assure you that getting a Walden University Writing Center Instructor to review your work will only help you in the long run and lessen your fears when it comes to academic writing. One of the first steps to obtain a paper review appointment would be to fill out the appointment form. On the form, you are encouraged to share your assignment’s instructions and any writing goals that you wish to gain from the appointment. The appointment form is a great place to share all of your anxiety and fears when it comes to academic writing. Let it all out. You are in a safe, judgment-free, and welcoming place to be as honest as possible. Providing this specific information will help the Writing Instructor internalize the given information and determine the best way to approach your paper to ensure satisfactory personalized instructional feedback. During a paper review appointment, the Writing Instructor will provide instructional feedback catered to your writing needs. After reading the paper and reflecting on your appointment form, the Writing Instructor will provide personalized instructional feedback. The paper review process is a time to share ways to support your writing and also point out strengths in your writing through encouragement. This specific technique does not include line-by-line editing. Instead, the Writing Instructor will provide you with feedback to address areas of concern, ease any anxiety you may have, provide examples to go into more depth, and include any necessary writing resources to support the instructional feedback. At the end of the paper review appointment, the Writing Instructor will encourage the student to review the instructional feedback and reach out with any questions while they apply their feedback to the current draft. When questions arise, sometimes it creates anxiety, and that’s when reaching out to a Writing Instructor at writingsupport@waldenu.edu would come handy. 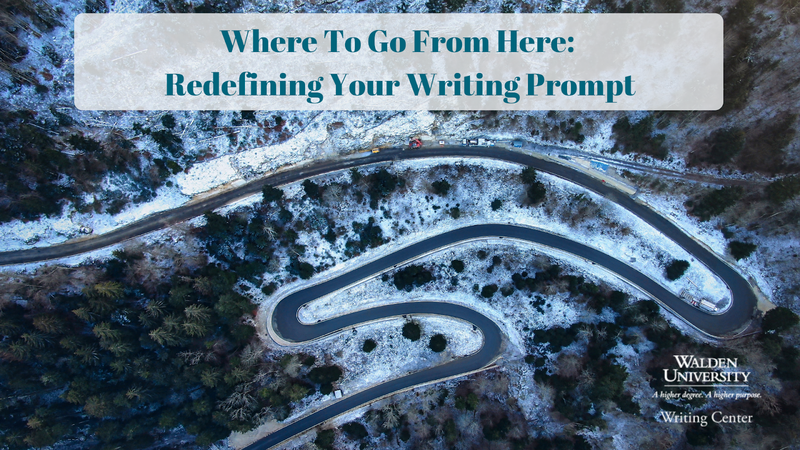 If a suggestion does not seem clear enough or perhaps you would like additional examples, please do not hesitate to reach out to the Writing Instructor with your writing-related questions. The Writing instructor will respond via email with 24 hours. After you received the necessary answers, take some time to apply the Writing Instructor’s feedback to your current draft. A great way to ease your anxiety, it is essential to read through the Writing Instructor’s feedback and apply it to your current draft. By taking this step, you will gain valuable insight into how you can strengthen your writing and ensure that your writing meets the assignment’s requirements. Some students notice a significant change in their writing that they come back to the Writing Center for multiple appointments. To maximize the resources in the Writing Center, I like to encourage students to make multiple paper review appointments. In my experience, students who make at least three paper review appointments have noticed a positive change in their writing and academic success. Read more on our Third Time's the Charm: The Magic of Multiple Paper Review Appointments blog post and find out additional benefits of making multiple paper review appointments. Academic writing can feel difficult and create writing anxiety, but it does not have to be that way. 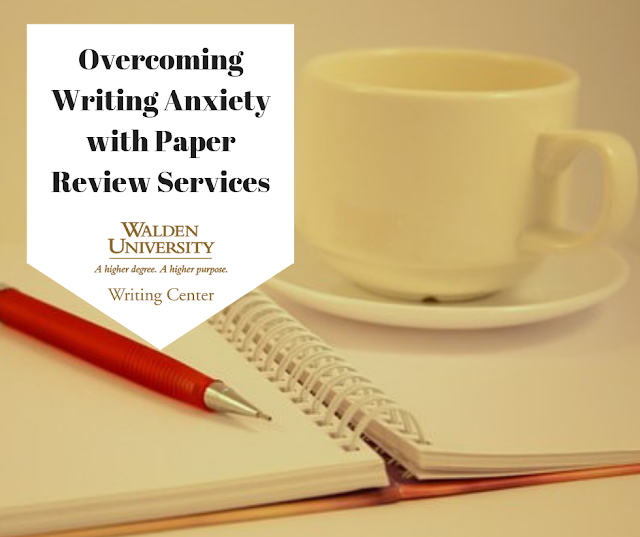 Overcome your writing anxiety by setting up a paper review appointment today, and I guarantee you will feel confident as a writer and increase your academic success. Click “Paper Review Appointment” to make an appointment today and receive useful personalized instructional feedback to strengthen your writing. Jeannie Croichy has 14 years of experience in the field of education and she has used that time to develop unique and innovative writing pedagogies to bring out the highest potential in students. 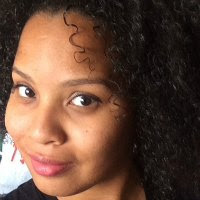 She is a dedicated and well-rounded writing educator with extensive experience working with students from all over the world. She received her MEd in English Language Learner from Ashford University and BA in English Writing from William Paterson University of New Jersey. She is currently pursuing her EdD in Higher Education and Adult Learning at Walden University.